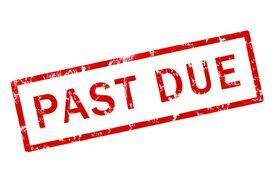 A debt collector (or collection agency) is someone who collects debts owed to others and may contact you if you are late in paying your bills. The federal Fair Debt Collection Practices Act (FDCPA) requires that they treat you fairly and prohibits certain methods of debt collection. Maryland has also passed the Maryland Consumer Debt Act that further protects you from abusive debt collection practices. What type of debts are covered? Personal, family, and household debts are covered. What is a validation notice? Within 5 days of the debt collector’s first contact, he or she must send you a written “validation notice” telling you the amount of money you owe, the creditor to whom you owe the money, and what to do if you believe there was a mistake and you don’t owe the money. Can a debt dollector contact someone else about my debt? If an attorney is representing you about the debt, the debt collector must contact the attorney, not you. Otherwise, the collector may contact other people to obtain your address, your home number, and where you work. Collectors are generally prohibited from discussing your debt with anyone other than you, your spouse, or your attorney (except to obtain that information) and from contacting third parties more than once. Can I stop a debt collector from contact me? If you don’t want the debt collector to contact you, write a letter to him or her, make a copy of your letter, send the original by certified mail, and pay for a “return receipt,” for documentation. Once this letter is received, the collector may not contact you again other than to inform you that there will be no further contact or to that they or the creditor intend to take a specific action. Stopping contact with the collector does not erase the debt. The creditor or the collector can still sue you to collect the debt. How are my payments applied? If there is more than one debt the debt collector is trying to collect from you, he or she must apply any payment you make to the debt you choose and may not apply a payment to a debt you think you don’t owe. Copy of a canceled check from you to the original creditor. The Maryland Consumer Debt Collection Act covers debt collectors (collecting a debt for others), creditors themselves including employees hired by the creditor and attorneys who collect debts for others. Liability for damages under the law: A collector who violates any provision of the Maryland law is liable for damages proximately caused by the violation, including damages for emotional distress or mental anguish suffered with or without accompanying injury. If there is a lawsuit is filed against you (by the collector), respond to it personally or through a lawyer by the date specified in the court papers in order to preserve your rights and the have thought if things opportunity to fight court orders such as wage garnishment. Your bank account or wages can be garnished (by court order only) if you do not pay your debt. Many federal benefits are exempt from garnishment but may be garnished under certain circumstances to pay alimony, child support, student loans, or delinquent taxes. If you need help with a debt collection issue, contact OCP by calling 240.777.3636 to speak with the Investigator-on-Duty or file a complaint with our office. Contact the Commissioner of Financial Regulation to file a complaint or verify a debt collector's licensing status. Are you having problems with a debt collector? The National Association of Consumer Advocates has prepared a few short videos that may help. Click here for more.